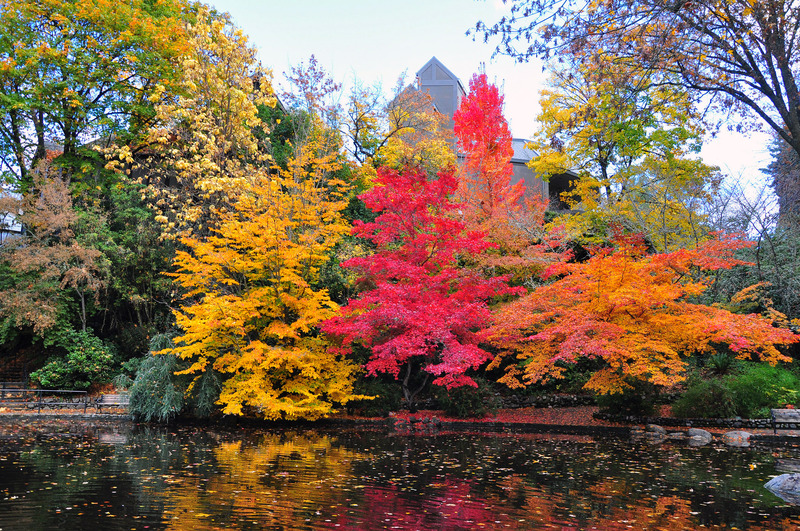 Traveling to Ashland, Oregon, is enticing and rewarding all year round. For a relatively small urban area (population below 22,000) it has an enormous amount of festive public events to enjoy, excellent wineries, breweries, and restaurants, and – tax free shopping to cherry-top your cake! In winter, there’s Festival of Light, Victorian Christmas Celebration, Rogue Winter Fest, and Festival of Trees. 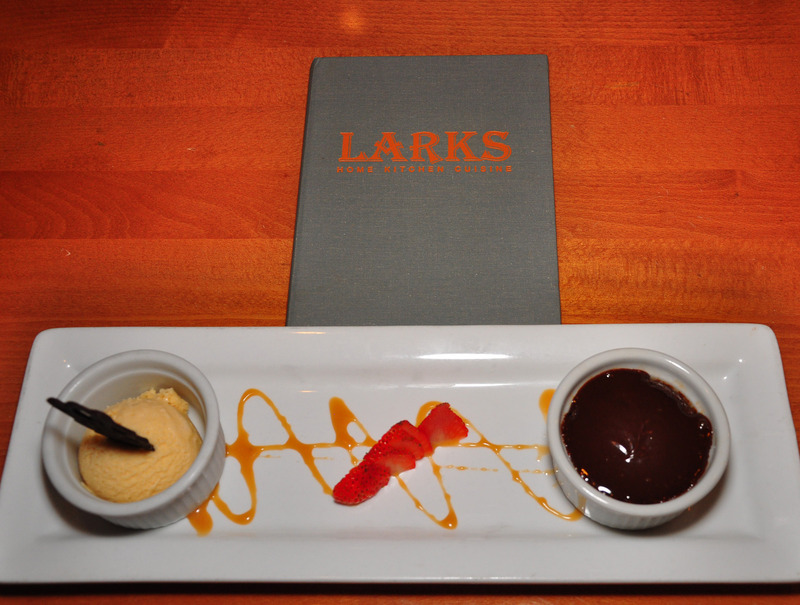 In spring, Ashland Independent Film Festival, Pear Blossom Festival, Oregon Cheese Festival, and Oregon Chocolate Festival. In summer, 4th of July Celebrations, Medford Beer Week, Britt Music and Art Festival, and Oregon Wine Experience. 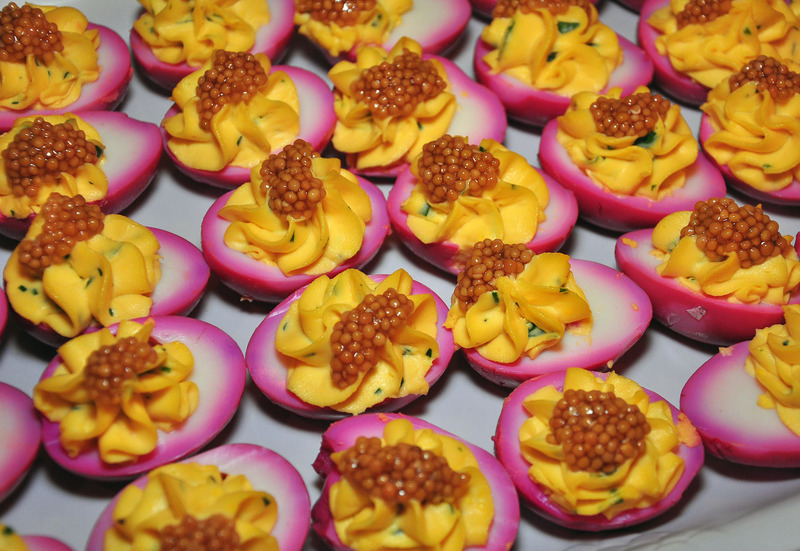 Finally, in the fall, there’s Ashland Culinary Festival, Southern Oregon Music Festival, and Harvest Festival. Not to mention the most famous of them all, Oregon Shakespeare Festival, founded in 1935, that goes on every year from early spring to late fall, and produces eleven plays on three stages every season. The culinary festival became a reason forme and my husband to drive up north from our California home at the very beginning of November, when San Francisco’s East Bay inland temperatures refused to go down, and the sweltering summery heat infused with post-fires’ residual smoke was becoming a nuisance. 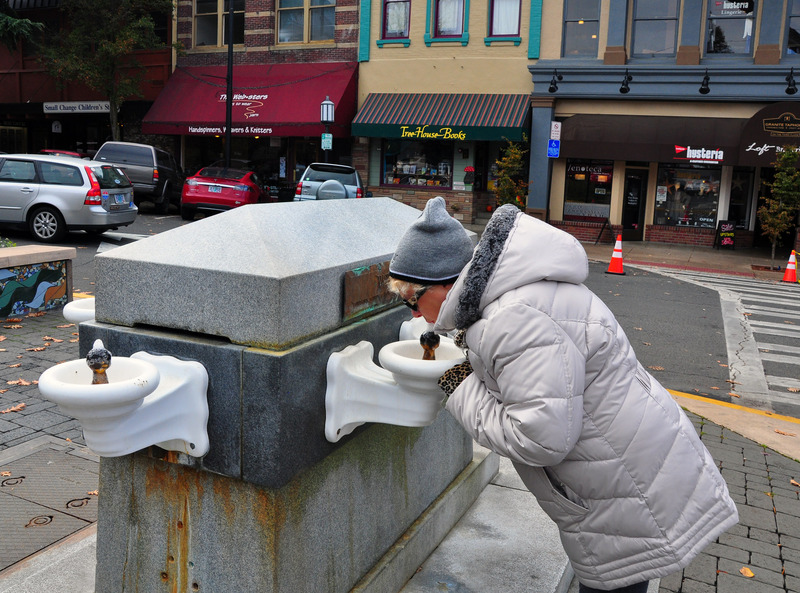 We were hoping for the healing powers of Ashland that manifest themselves not only in the mineral springs that bubble to the surface from the Earth’s crust, but also in the serenity of the surrounding nature and in the unhurried balanced lifestyle of its residents. 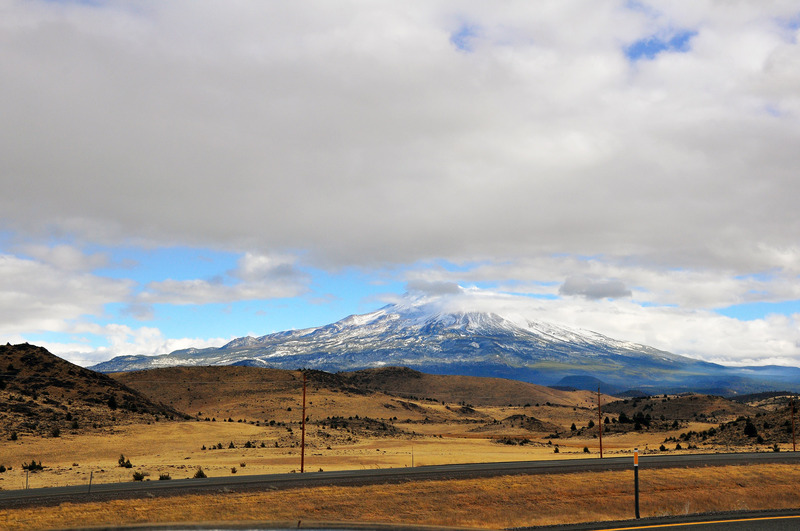 Passing the snow-capped Mount Shasta on our way, we were pulling out our winter coats faced with the freshness of Oregon air; reminded once again of the Russian origins of the word Shasta (which means “happiness”). 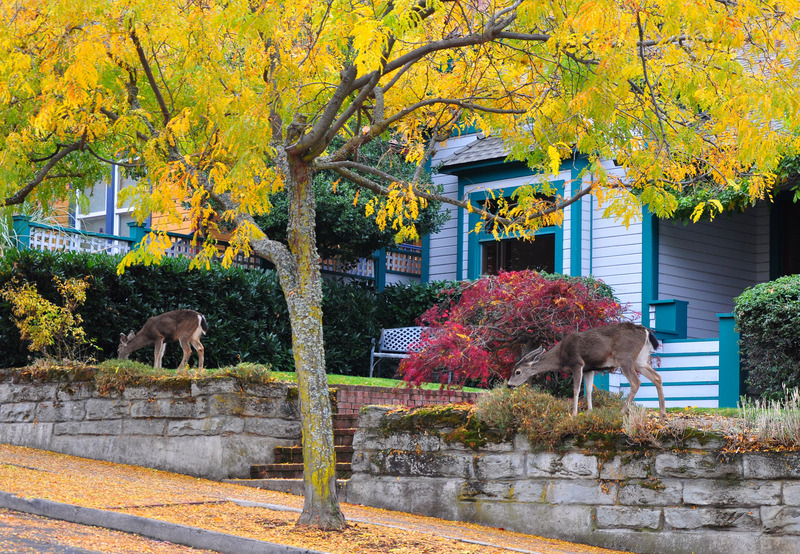 A short drive and walk around the city yielded plenty of poetic views of leafy trees changing color, Ashland Creek running among the old grows of Lithia Park, and even a couple of deer grazing peacefully in someone’s front yard one block off the main drag. Upon checking in at the Lithia Springs Resort, we were greeted by the friendly staff, and immediately invited to the afternoon tea that is taking place daily in the beautifully decorated Tea Room, Library and lobby with a fireplace, designed by the owner/creative director, Becky Neuman. High-quality tea, home-made scones with lemon curd and jam, and fresh berries were surely rejuvenating after a long drive, and made us feel welcome, however, the best was yet to come. 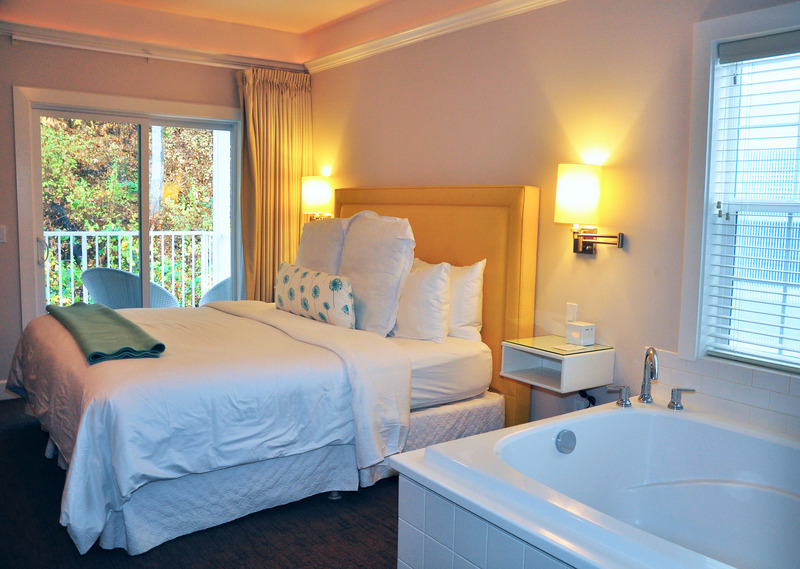 What a wonderful surprise was awaiting in our Hillside King Suite, overlooking a wooded hill in fall colors, and with a large tub to enjoy a hot mineral bath right in our bedroom! A two-sided fireplace, open to the bedroom and to the spacious living room, a cozy kitchenette with a breakfast nook, and a plush sofa with a coffee table and armchairs – the suite was luxurious, and oh so welcoming! It seemed there was no necessity to go outside, if it weren’t for the 11th Annual Ashland Culinary Festival Kickoff Event that was happening at the Ashland Hills Hotel & Suites and included Celebrity Quick-Fire Cooking Challenge, the 2nd annual Mixology competition where local bartenders competed for the title of Top Mixologist, wine tastings by the Bear Creek Wine Trail, and small bites from the best Ashland restaurants. The Cooking Challenge Teams were studded with celebrities: Judge and Emcee Cory Schreiber & Rolar Yondorf, a former Festival Judge, from Porters Restaurant; Judge Fabiola Donnelly & Chef Kate Cyr, the Festival Committee Member, from the Neuman Hotel Group; Judge John Ash & Dennis Slattery, a former Festival Emcee, Ashland City Councilor and SOU Professor; Top Chef 2007 & 2008, Neil Clooney of Smithfields & Trish Glose from KTVL Channel 10. Bartenders from eight distinctive restaurants took part in the 2017 Mixology Competition: Arturo Almazan – Smithfields Pub & Pies; Freddie Herrera – Hearsay Restaurant, Lounge and Garden; .Jess Jeffery – Alchemy Restaurant & Bar; Ross Jones – Larks Restaurant; Sondra Mayer – Brickroom; Blake Satre – Ostras Tapas and Bottle Shop; Saphire Stevens – Oberon’s Restaurant and Bar, and Greg Waites – Black Sheep Pub & Restaurant. The next day, hands-on culinary workshops were held at different locations, spreading throughout the city, and the 2017 Junior Chef Competition showcased Junior Chef Teams of Ashland High School – China Larsen & Quinn Vogel; North Medford High School – Coy Wimberly & Dezmond Barros; South Medford High School – Chase Tonini & Kyle Smith; Grants Pass High School – Kassidy Kipert & Cecil Dowdy. Junior Chef Competition was followed by a daily festival program, Sip, Sample, and Taste with a long list of vendors, and Chefs Competition of 12 local chefs competing while using ingredients from local farms and artisans. This competition went on for two days, and involved the following chefs and restaurants: Josh Dorcak – MÄS; Brent Herud – Larks Restaurant; Melissa McMillan – Sammich; William Shine – Hearsay Restaurant; Shawn Alamo – The Black Sheep Pub & Restaurant; Javier Cruz – Simple Café; Skye Elder – Brickroom; Alfredo Nava – Omar’s Fresh Seafood and Steaks; Stefano Cipollone – Standing Stone Brewing Co.; James “Cyrus” Gray – Southern Oregon University (The Hawk Dining); Tony Efstratiadis – Plancha; and Jackson Kelsay – Amuse Restaurant. 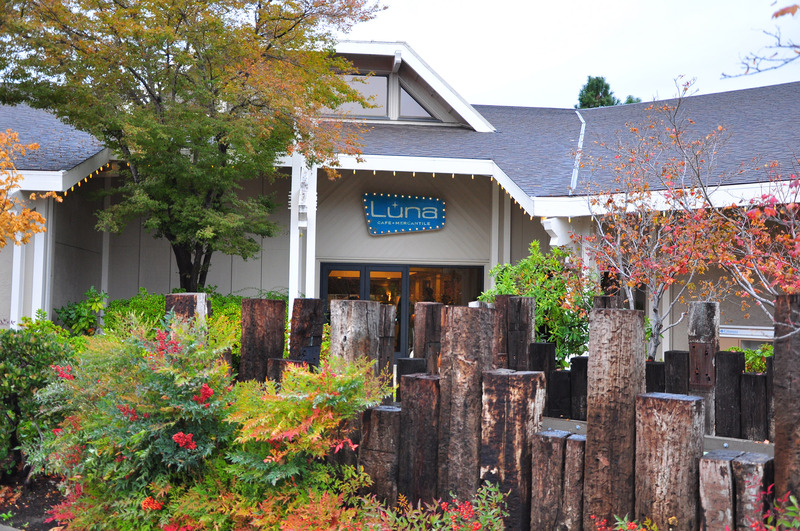 We were pleased to check out Luna Café & Mercantile, located right there, where the Festival headquarters were, in the Ashland Hills Hotel & Suites – very modern, with astronomy-themed decor. 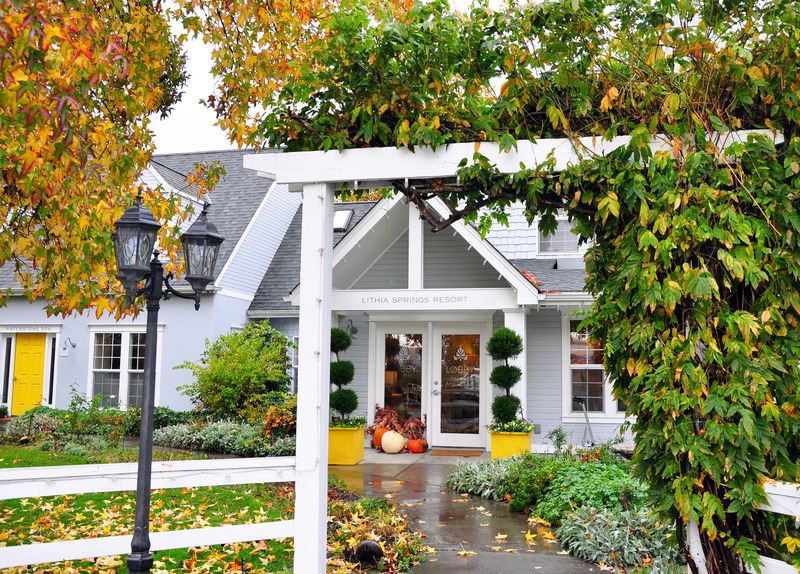 By using products grown and raised in Oregon, namely in the Rogue and Applegate valleys, the restaurant supports local farmers and artisans, and serves the freshest, healthiest food as well as local wines and cheeses, specialty coffee and handmade chocolate treats. 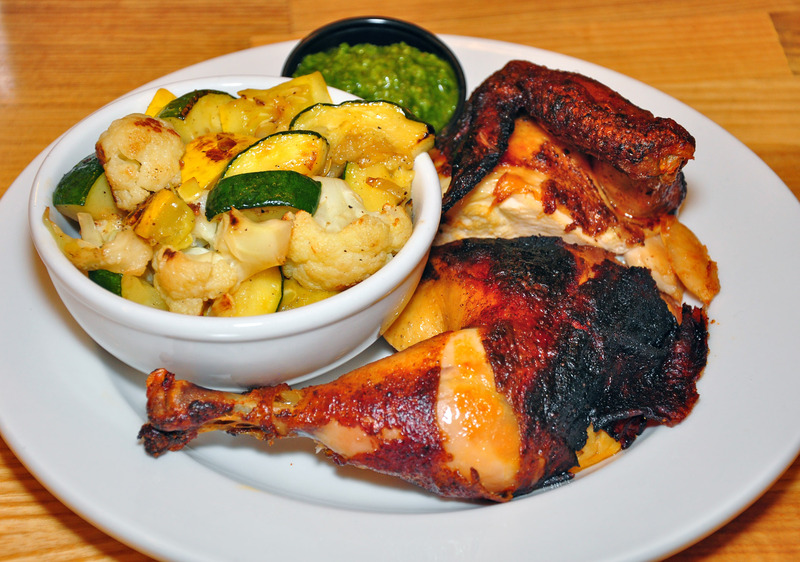 Free range rotisserie chicken with herb relish, and burgers with Tillamook cheddar and Luna sauce on a house bun are some of the delicious hits of the menu! 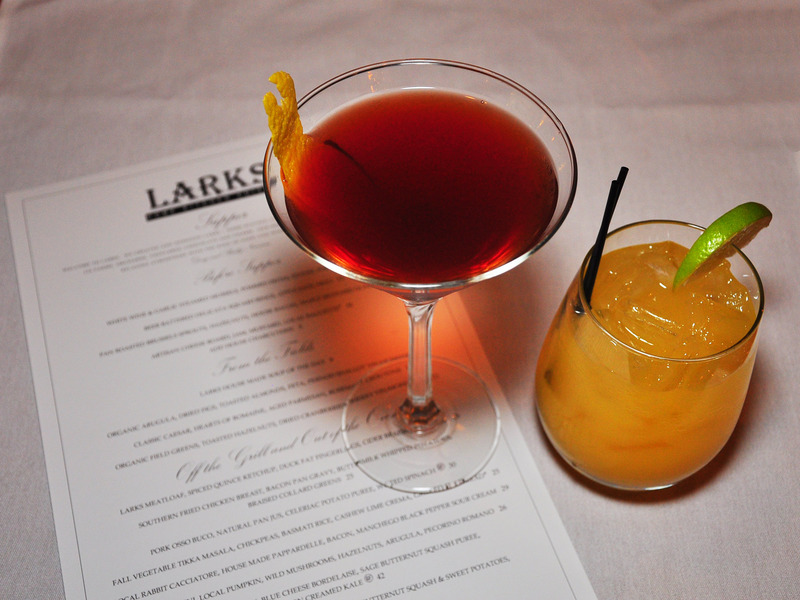 For a formal dinner with great cocktails and wine, we headed to Larks restaurant in the iconic Ashland Springs Hotel – the most prominent and famous landmark of the city. White wine and garlic steamed mussels, pork osso bucco with celeriac potato puree and wilted spinach, and local rabbit cacciatore with house-made pappardelle, bacon, and manchego black pepper sour cream were surely memorable creations of the “home kitchen cuisine” by the Executive Chef Franco Console, followed by the flourless chocolate cake and ice cream for dessert. Our short “long weekend” in Ashland proved to be relaxing, healing, and energizing. To learn more, visit: www.travelashland.com, www.ashlandchamber.com, and www.neumanhotelgroup.com.